The most exciting automotive event of the year made a big entrance into the Canadian car scene. Royal Rally 2015 – Mountain Run! What do you get when you cross a scavenger hunt with cars? You get Royal Rally. 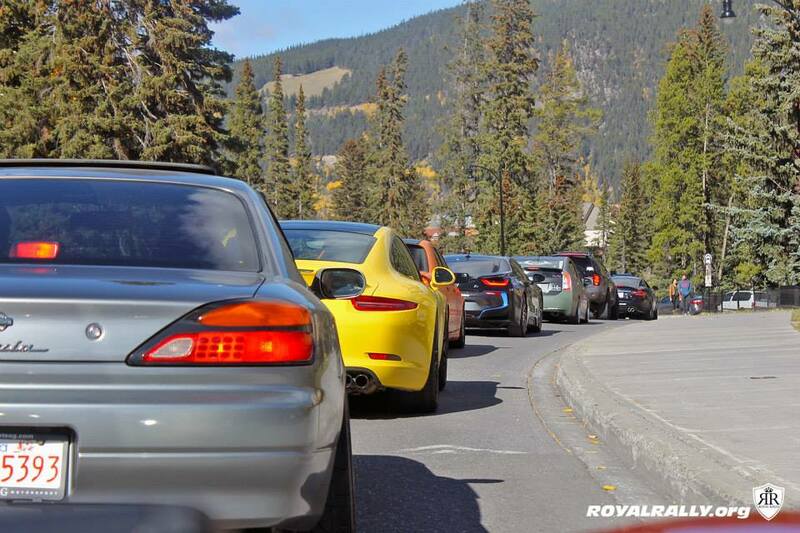 On September 27, almost 40 teams took part in the inaugural Royal Rally event from Calgary to Banff and back. Teams drove over 550km of scenic mountain roads in search of hidden checkpoints, where they had to solve clues to earn points. From Elbow Falls to the Ghost Lake Hydro Dam, even the Canmore Nordic Centre, teams traveled through a diverse landscape all while trying to navigate to the Banff Springs hotel the quickest, while earning maximum points from each checkpoint. After a delux brunch at the Banff Springs, teams headed off to Nakiska, the Mt. Kidd RV Park and the Bar U Ranch before heading to the finish line at Starbelly in Seton, where the top three teams were awarded the Royal Rally Navigator trophies. View the official rally photo gallery here!